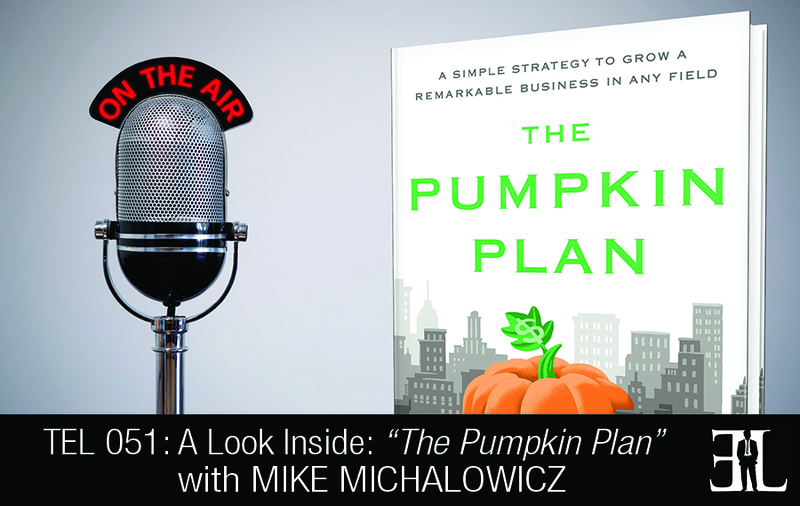 In this episode Mike Michalowicz takes a deep dive into his bestselling book, The Pumpkin Plan where he helps you implement a unique strategy for growing your business. In his book, Michalowicz utilizes the techniques that farmers use to grow colossal pumpkins. His theory is that pumpkin farming provides some similarities in growing a successful business and he provides you all of the steps to do so. This book is perfect for entrepreneurs and business owners who are struggling to grow their business and have too many tasks on their plate. Michalowicz gives you the steps to focus on that one thing you do well and becoming a master at it so you can experience colossal growth. I am a big believer in the stories, at the end of the day to remember 200 to 300 pages worth of stuff is impossible. In my books I wanted to paint pictures in the readers mind so instead of that one sentence, they can walk away with that one vision. You will need to read from beginning to end. Less is more. If you want to grow your business stop trying to do more things, the natural tendency. If you want to grow your business find that one thing to focus on and become a master at it. The essence of The Pumpkin Plan is five significant steps. The first step is called Seed Selection. In the pumpkin industry there are two types of pumpkin farmers, the ordinary farmer and the colossal famers. Ordinary farmers pick ordinary and cheap seeds while colossal farmers are focused on quality seeds. Colossal farmers become highly selective of their seeds and spend hours investigating individual seeds looking for indications of strength. Many entrepreneurs are after the cheap and easy seed but the colossal entrepreneurs pick colossal seeds. There are three major components in a colossal business, firstly it has to exploit the uniqueness of the entrepreneur, secondly there has to be demand for it, and lastly is the component of systemization. The second step I talk about is the sprout. If you are an ordinary farmer you look for any sprout. Colossal pumpkin farmers focus on strong sprouts. If you want to grow a colossal business you have to focus on the strong elements of it. The one thing I really emphasis on is being selective of your clients. The third step I talk about is the watering process. Ordinary pumpkin farmers use a saturation strategy while a colossal farmer uses a quenching strategy. It’s at this stage that the colossal pumpkin can grow ten times faster than the ordinary pumpkin. For a Colossal Business using the pumpkin plan I recommend the strategy of quenching. Once you identify your best customers that you want to clone, your next step is to find out where they congregate and start contributing to those environments. Now you become a contributor as opposed to someone just trying to take and this will change the relationship to a much more positive one. The fourth significant step is what’s called Rude Analysis. Ordinary farmers don’t even look at the root system but colossal farmers get tools and devices to look at the roots because it feeds the entire plant. The root system for a colossal business is the vendor network. After you find out who your best customers are you need to find out who else they work with, what other vendors they use and build relationships with them. The whole goal is to circulate with the vendor network that is serving your best clients. The final step is the pruning process. Colossal farmers don’t prune so much as they do what is called killing and as little pumpkins come up on the vine they will kill them immediately. Every time a little pumpkin is allowed to grow on a vine it is stealing nutrients from the colossal pumpkin. As applied to business colossal entrepreneurs will focus on their best clients and turn away all the other opportunities. You grow by saying no and colossal entrepreneurs get this. They have to focus on what’s best and the only way to do that is to say no to everything else. I am an author of The Toilet Paper Entrepreneur, The Pumpkin Plan and Profit First. I write books to help entrepreneurs grow their businesses. I challenge all the beliefs that are around because I believe most of our beliefs are hurting our businesses and propose new ways to do it. I started studying colossal pumpkin farmers and I realized that they basically follow the same process as ordinary pumpkin farmers do but change a few elements. Just by changing 5% or 10% of the growing process the pumpkin responds with explosive growth. I figured that if you can do this natural, why not do it with businesses and I put it to the test.